We all know regular carpet cleaning is a necessity to keep them in good condition and odour-free. Have you ever thought that your lounge and car upholstery should be granted the same treatment? Really Cheap Carpet Cleaning Brisbane are only too happy to come and give your upholstery the care it deserves. While we’re at it, here is a mini-FAQ about upholstery cleaning and why it is important. Can I Clean Upholstery Myself? In short, yes you can but if you are not 100% confident in what you are doing, it can go bad. Choosing the wrong products can lead to damaging the fabric and even the colour of your upholstery. 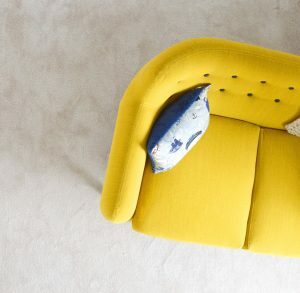 When and How Often Should I Get Upholstery Cleaned? The normal recommendation is annually, to refresh the fabric and remove dust & debris. Depending on frequency of use, it may vary from 6 months to 2 years. What Will Cleaning Upholstery Do? Regular cleaning will remove allergens, odours and bacteria from your upholstery. Thus providing a safer, cleaner environment for your family. How Do I Prepare My Upholstery for Cleaning? Giving your upholstery a good vacuum is important to remove dust and loose dirt prior to cleaning. Do You Test Colour-Fastness Before Cleaning? Yes, Really Cheap Carpet Cleaning Brisbane will always test a small area of your upholstery to make sure no damage will occur during cleaning. In most cases, we will use steam cleaning. For some fabrics that are more delicate or not colour-fast, we will use dry cleaning methods. You can trust Really Cheap Carpet Cleaning Brisbane to make the right cleaning choice. Will It Take Long To Dry? Most upholstery will take a few hours to dry, particularly when steam cleaning is used. Now is the perfect time to book in to have your upholstery cleaned. While you’re at it, why not get your carpets done at the same time? Discounts apply for multiple services! What To Do if Your Carpet Gets Flooded Brisbane Heat vs Perth Scorchers Tonight at the Gabba!! !